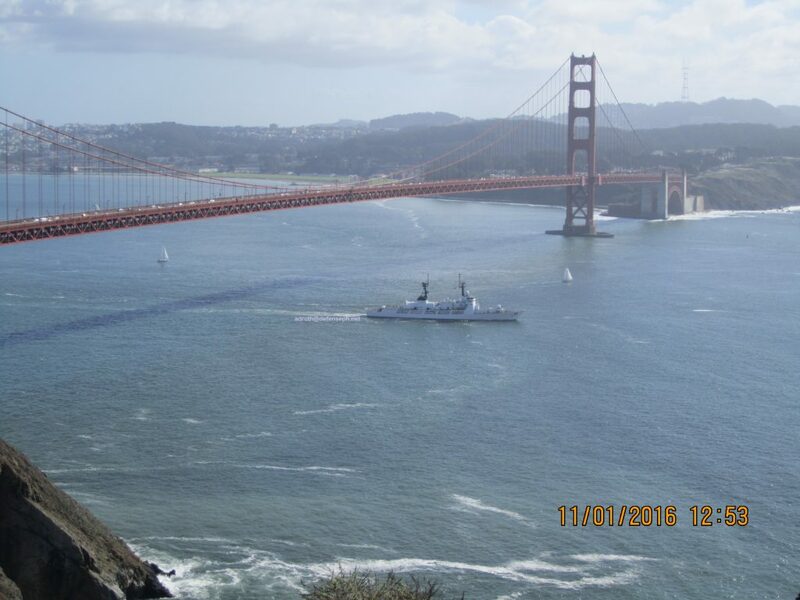 BRP Andres Bonifacio, the latest ex-Hamilton class WHEC to enter Philippine Navy service, crossed the Golden Gate in San Francisco CA at 12:53PM on November 1, 2016. To monitor her progress, visit the mother forum here. This entry was posted in Philippine Navy and tagged Del Pilar Class, FF-17, WHEC on November 2, 2016 by adroth.